When The Wife and I visited Macau a couple weeks ago, I knew going in exactly what I wanted to try and review, and it wasn't the Prosperity Burger nor any of the other promotional sides I had already tried before in one form or another, but the Crayfish Soup! Even though I've had a number of Soups at McDonald's, Crayfish would have been completely new for me. 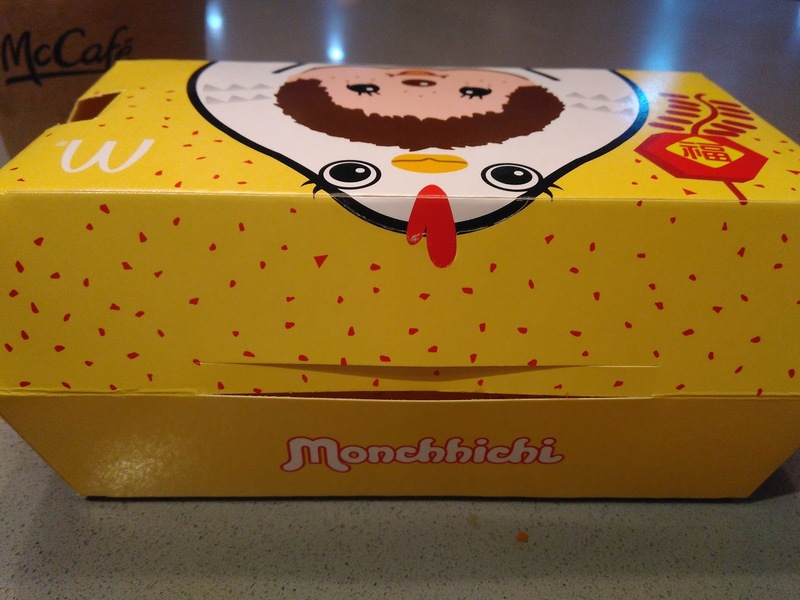 I visited 2 branches in Macau city, and both had sold out stickers across the soup. 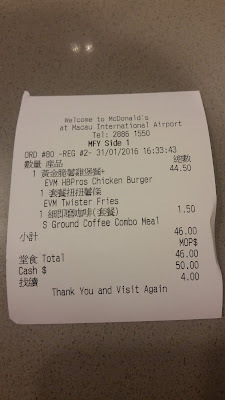 My friend over in Hong Kong, where Macau borrows it's entire menu from (they are just too small of a market to have their own product), said the Crayfish Soup was still in stock in every branch he visited, so I guess I just hit my typical bad luck...I had actually planned on skipping The Prosperity Burger whist it was was making its rounds across Asia since I have tried it both in Singapore and Malaysia, but since our flight out of Macau was delayed 90 minutes and we didn't have lounge access, I stopped into the McDonald's to get a quick coffee. Due to the airport premium pricing, coffee was almost $3USD for a cup, so I thought I'd just get the entire $5.50 combo and give it a try. 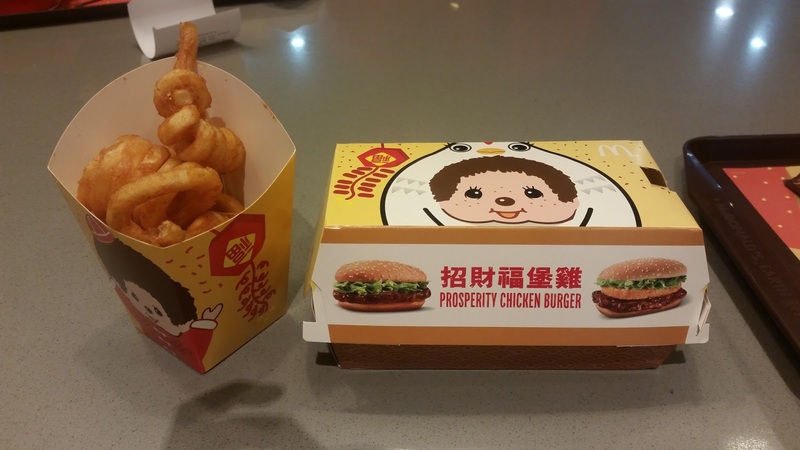 This year the Prosperity Burger in Hong Kong, Macau and Taiwan came with a Hash Brown variant sold alongside the standard burger. 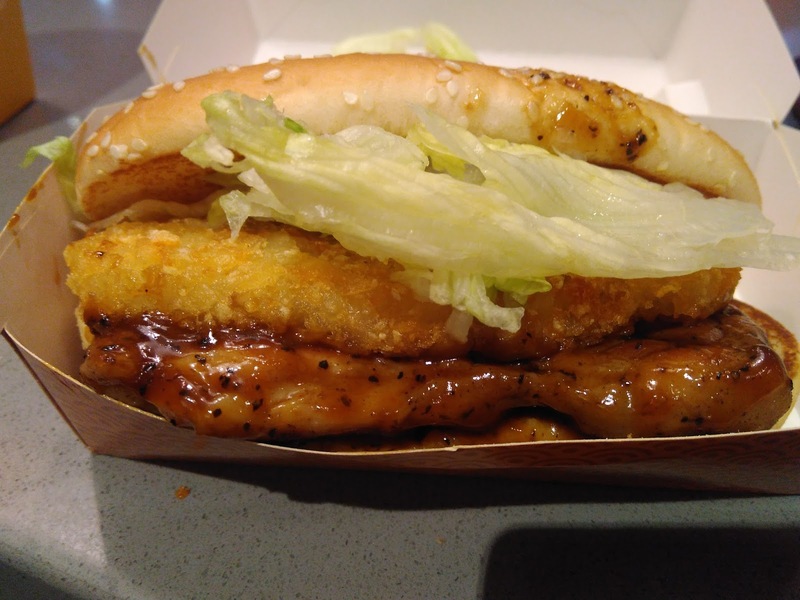 Singapore topped theirs with Mushrooms, and together with Malaysia also sold it with a double patties variant. I felt that I should be giving this new Hash Brown variant a try since it was the most unique option even if it wasn't the first time I've had it as a topping. Before I jump into the taste, I should explain that the Prosperity Burger is a Lunar New Year promotional burger that pops up across Asia pretty much on an annual basis. 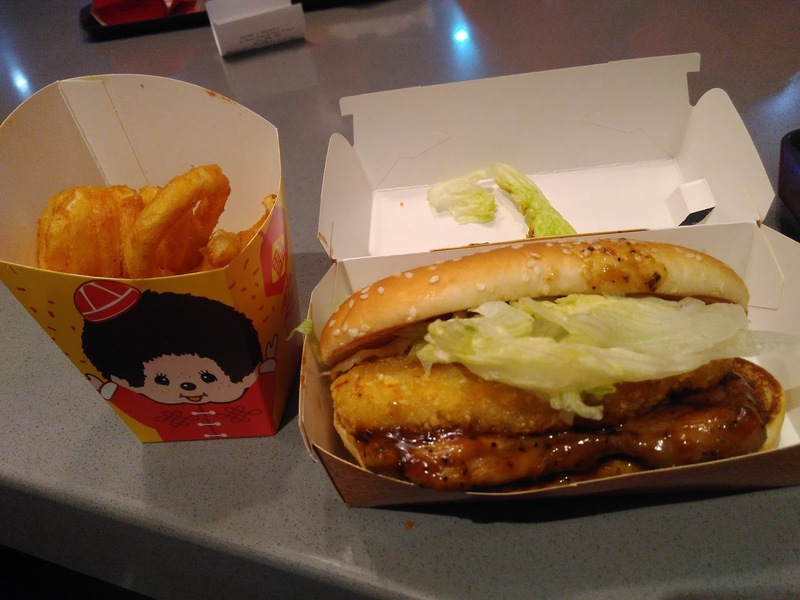 The sauce is black pepper based, and it's usually topped with onions, and not much else in the form of veg, but sometimes it pops up with lettuce (like this time), Korea has offered it with lettuce and tomato, and I believe one time Malaysia, may have included it a slice of pineapple (I could be mixing it up here). Despite being unimpressed by my previous Prosperity burgers, I knew after my first bite that this was something a bit different, and it was all because of that wonderful sauce. This version of the black pepper sauce sauce reminded me of the McPepper at McDonald's Hong Kong which I had years ago, it wasn't sweet like the sauce is in Singapore or Malaysia and every bite hit you with the black pepper spiciness you should expect. Although it wasn't called or promoted as a spicy burger at all, it did have a nice little kick to it. 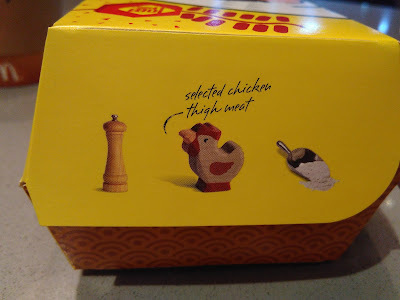 Just looking at the sauce and you could see large pieces of actual peppercorn pieces, so it wasn't just black pepper flavoured. The piece of chicken was also a nice surprise as both the wife and I aren't the biggest fans of chicken thigh burgers, as they often come out a bit too oily, but we both thought the meat was big and juicy, but not overly oily. 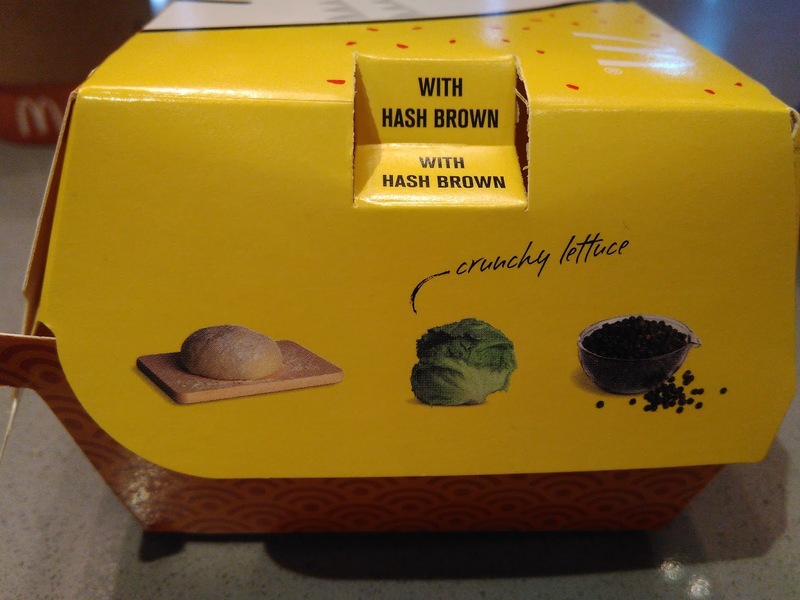 The biggest disappointment here had to have been the hash brown. 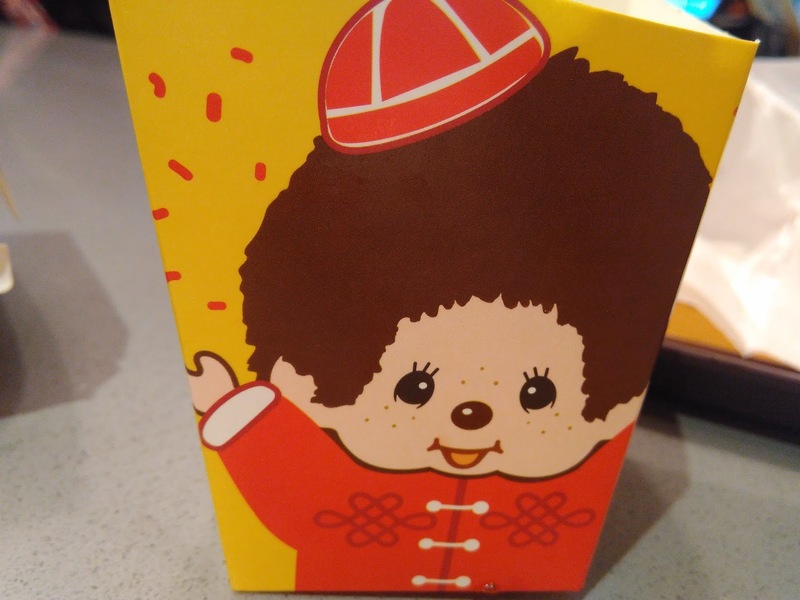 It was the standard breakfast hash brown, and although it was actually pretty fresh, but it just didn't add anything special to the burger. If anything it probably distracted from the decent sauce and patty. 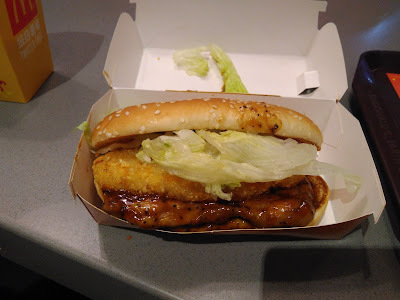 In the end, we ended up taking the hash brown off the burger and ate it on it's own. 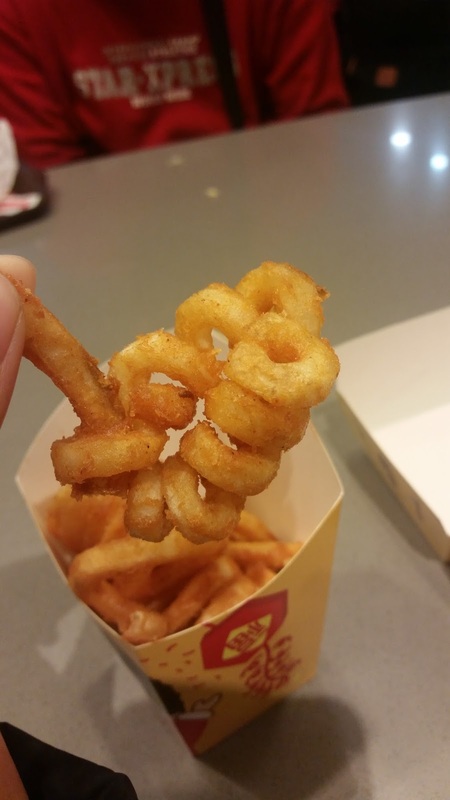 Another big surprise were how impressive the Twister Fries were compared the ones I would get in Singapore/Malaysia. These were very curly, not overcooked in the slightest (which were a common problem in SG/MY) but they also had a seasoning on them which was more like a curly fry you might get in a western country. Both The Wife and I were pleasantly surprised with them, even though the serving size was on the extremely small side, as it wasn't even filled to the top of the already small Monchhichi themed box. The fries themselves were pretty large, so we didn't get more than say 8-10 fries for our meal. Just read about your blog from WSJ, and popping up here. 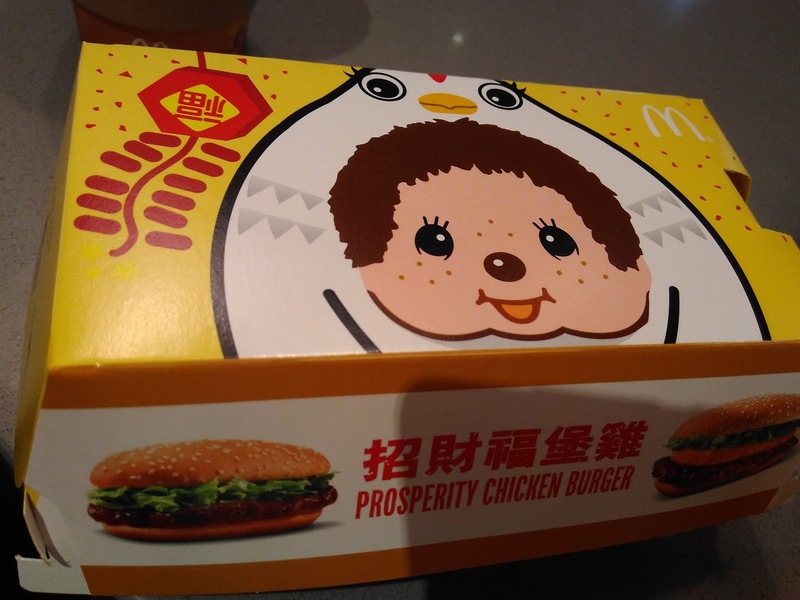 I really don't like the yearly Prosperity burger, the sauce is making the burger too soggy.